About Alsco – Discover more about Alsco’s 150 year history and service. Careers with Alsco – Looking for a refreshing change? We’re looking for you. Alsco Brands – Offer wide range of services and brand to industry and commerce. Know someone who could be interested? Share this article. The washroom is one of the most used yet underappreciated places in almost every office. Despite its importance, few people really understand the impact it has on the overall health and well-being of all employees. Therefore, employees should not be forced to tolerate subpar hygienic levels in their office washroom. That gives a whole lot of bacteria a chance to propagate and thrive. Now, this may not actually kill anyone, but it is quite annoying, and it can still lead to the spread of viruses and bacteria. It will also affect your bottom line by influencing attendance numbers. It will, essentially, make your company less productive. To head those kinds of problems off, here are 4 cool things you can do to keep that washroom clean and safe. The most common means of bacterial transmittance is through unwashed, unclean hands. While a bar of soap on the sink is usually enough, it’s easy for that bar to get lost. It easily slips and ends up on the washroom floor. Not only that but since it passes through so many hands, it is difficult to call it sanitary. Getting dispensers, with measured releases, will guarantee all-round improved hygiene at your company. At Alsco, we offer the option of manual or automatic dispensers depending on the need for convenience. Additionally, we also offer the choice between antibacterial and hypoallergenic soaps as well as liquids, foams, or sprays. All of these can be tailored to meet your company’s specific needs. Naturally, these can be complemented with dryers and paper towel dispensers for a complete experience. There’s a reason that people call the loo, the throne. Everybody spends a whole lot of time on it. That’s why a regular check of its state is extremely important. Anyone sitting on it can easily transfer bacteria to the next person if it isn’t regularly cleaned. Apart from the cleanliness issue, safety is another important point to ponder. Make sure to check those hinges regularly, as well. Getting disposable seat covers is a good idea if you want to make the toilet seats at your company more hygienic. They quickly and safely serve as a way to protect yourself from bacteria. Getting a hand sanitiser dispenser and placing them nearby will also invariably help. 3. Get Those Odours Under Control! Cleanliness will always be at the forefront of concerns when it comes to the office toilet, but believe us when we say that odour control matters. Not only does this affect levels of comfort, it can mean the difference between a great experience and a bad one. After all, who wants to suffer through bad washroom smells? With Alsco’s Fresh and Clean air freshener products, you can deal with odour issues very easily. Our Spray Air Freshener unit is the first oxygen-based dispenser. We even have an unobtrusive, wall-mounted dispenser that will atomize and release pleasant odours at fixed intervals to ensure a fresh smell all round. Here, we are talking about actual, physical safety. Slipping can be very dangerous, it can make you fall down and break something. So, spilled water, a floor that has been recently mopped, even wearing the wrong kind of shoes can all lead to a potentially serious injury. That’s why you need to take the necessary safety precautions. Investment in safety precautions doesn’t have to be all that costly. Especially if you decide to rent instead of purchase. 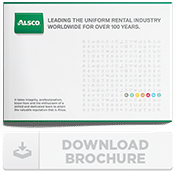 Alsco offers managed floor mat rentals. Our mats are made from the best and most durable materials. They can absorb 80% of any dirt or dust that comes its way. As far as water is concerned, it absorbs just the right amount, saving you from any possible slippage. We will provide laundering, and delivery as part of our mat rental service, which offers you maximum convenience and comfort. Remember, to earn money, you’ve got to spend money. That’s why investing in little things like these really improves your company, its safety, and the morale of your employees. It may save your employees from injury and will save you from extra expenses. Alsco has—for the longest time—been the provider of a wide range of services and products to meet the needs of many businesses across a wide range of industries. We offer full customisation and personalisation of services and prices to be sure we meet your exact needs. Disclaimer – These articles are provided to supply general health, safety, and green information to people responsible for the same in their organisation. The articles are general in nature and do not substitute for legal and/or professional advice. We always suggest that organisations obtain information specific to their needs. Get the best quality, crisp, 100% cotton and highly absorbent tea towels delivered to your door.